Less than two weeks out from our Kickstarter launch! We’ve got our promo video put together, postcards on the way, and are hashing out backer reward tiers and stretch goals. Since we’ve done two successful Kickstarters before, it’s not as stressful as it could be, but there’s still a lot to do, and we’re all working hard. We’ll be fulfilling our backer pdfs and softcover books through DriveThruRPG, that good standby of gaming books and downloads. Once our Kickstarter goes live we’ll have a free promotional download available through their website. It’ll include a couple of the playbooks to give potential backers a taste of what the game is like. We’re also sending out promotional materials to game stores! 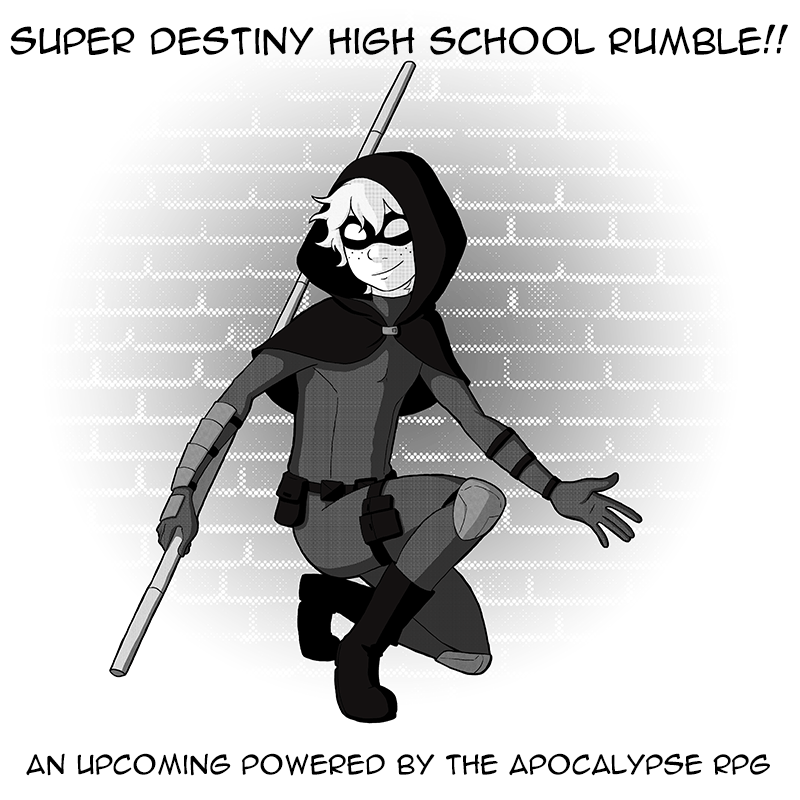 If you own or frequent a local game store, let us know (email: editor @ thefivewitspress.com) the address and we can send them a Super Destiny High School Rumble package.